5. 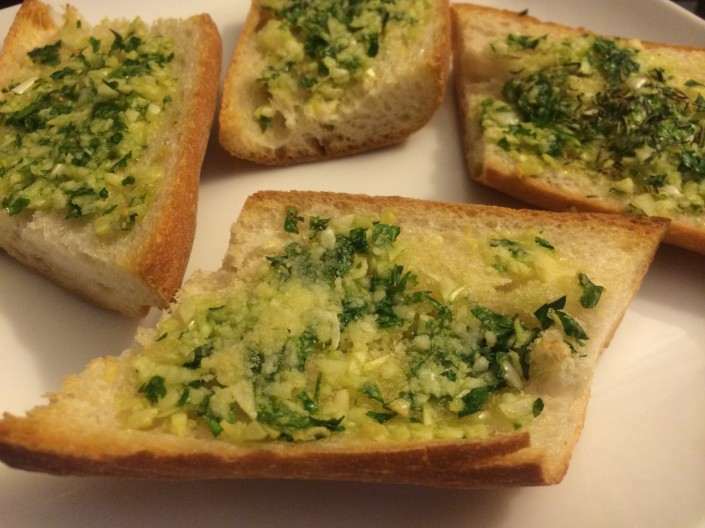 Spread the garlic bread paste on the bread slices and bake for approx. 8 min.